There is a lot wrong with this display. But the biggest thing is that there’s no reason to put all of those gift cards behind the counter. Gift cards are worth nothing until they are activated. There’s no reason to put them in a “secure” area. Many of these are impulse purchases. They should be placed somewhere prominent (endcaps are the most frequent placement) so people can browse them and find just the right gift card for the person they are buying for. Cigarettes and other high value items should be behind the counter; not things that have no inherent value. It looks like a cluttered mess. There’s no discernible organization to the gift cards. From a visual perspective, having the ToysRUs gift card hanging off on an acrylic shelf is ugly. There’s a sign saying that gift cards are cash only. 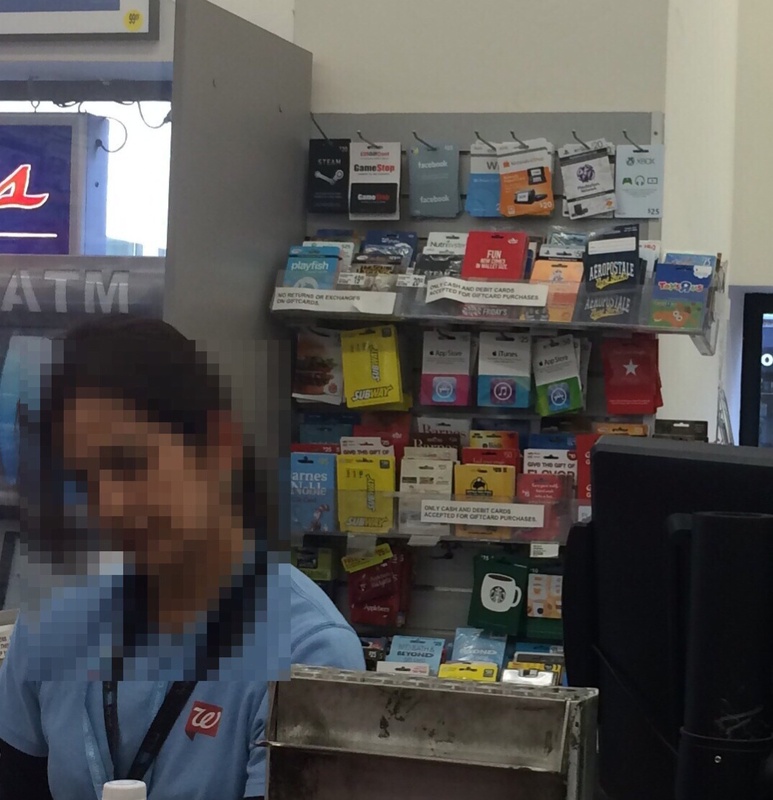 Walgreens POS is programmed to let store gift cards be sold by credit card. This is among the worst Walgreens that I’ve been to. The overall merchandising at this store is poor. Most are much nicer. Walgreens also does a great job at picking the right merchandise for each location — much better than most retailers. Previous Post redesignQuiz: What is wrong with this Walgreen’s retail display? Next Post redesignQuiz: How would you improve this Target display?